This week has been a week off from work for the @MaineSkiFamily dad. I am starting a new job at my previous employer Quantrix next week and so it has been a week of catching up on chores and getting the property ready for winter. I decided to take a day Friday and do a solo hike up Pleasant Mountain in Bridgton. Part of the Pleasant Mountain area is the home to Shawnee Peak ski area but I would not be hiking the ski trails today. My original plan was to go up the Ledges trail but when I arrived there, there were two vans of teenagers getting ready to ascend. I wasn't quite feeling like that much company so I took a look at the map and decided to drive around to the southwest side of the mountain to the Denmark road trailhead for the Southwest Ridge Trails. I am very glad I did! 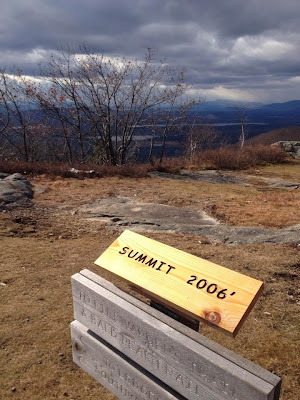 In very short time you ascend a ridge where you get great views to the south and eventually the east the entire way to the southwest summit. A lot of the hike to the southwest summit is very open and a lot of flat granite to climb up. I would not want to do this trail on a hot day (too much sun) or on a wet day as the rocks would be very slippery. But it was very beautiful terrain with outstanding views. The trail was well maintained and marked with yellow blazes and signs. Example of the open terrain and a snowflake or two! 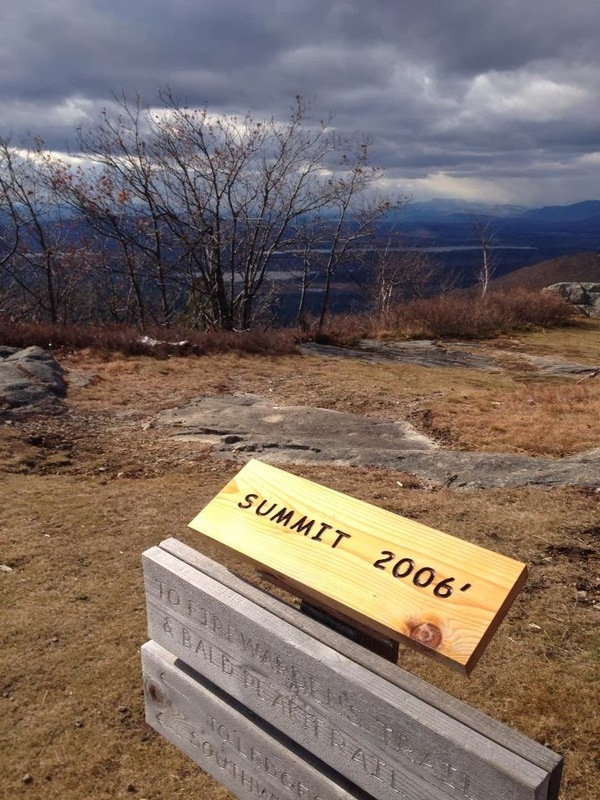 Once you reach the Southwest summit you take turn to the North and it is about a mile hike to the main summit of Pleasant Mountain. You have to hike down a valley a bit before the main climb to the top. It was very windy and cold at the summit and I saw my first snowflakes of the season. I saw the teenagers at the top and they were woefully underdressed and they quickly exited. I hid behind a rock to get out of the wind and enjoyed my lunch at the top. It was a pleasant hike down in the occasional snow flurries and as always, it is nice to see the truck and get off my feet. It is a moderately strenuous hike and about 5.5 miles round trip. Well worth it and a great way to end the week! Pleasant Mountain Preserve is managed by the Loon Echo Land Trust. A good trail map and descriptions are located at the Maine Trail Finder website. Access to this land goes through privately owned property so please be respectful and whenever you are using Maine's natural resources please carry out all refuse.